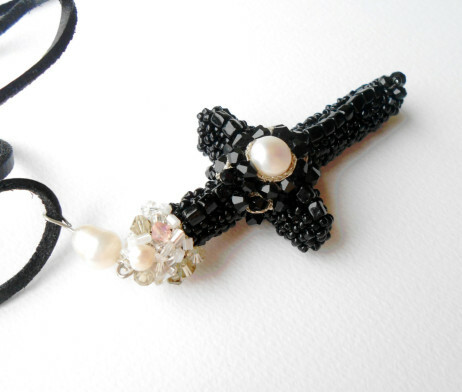 Handmade crystal cross necklace, inspiration from the edwardian era. 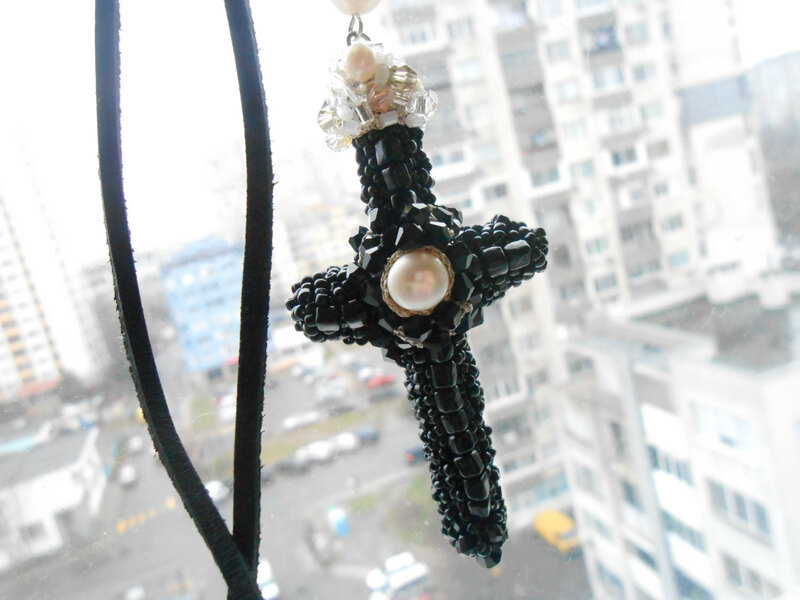 This cross is enterely handmade and it is richly decorated with hundereds of small glass black beads, many sparkling black crystals and several fresh water pearls in natural milky white color to achieve a beautiful contrast and a distinguished look. 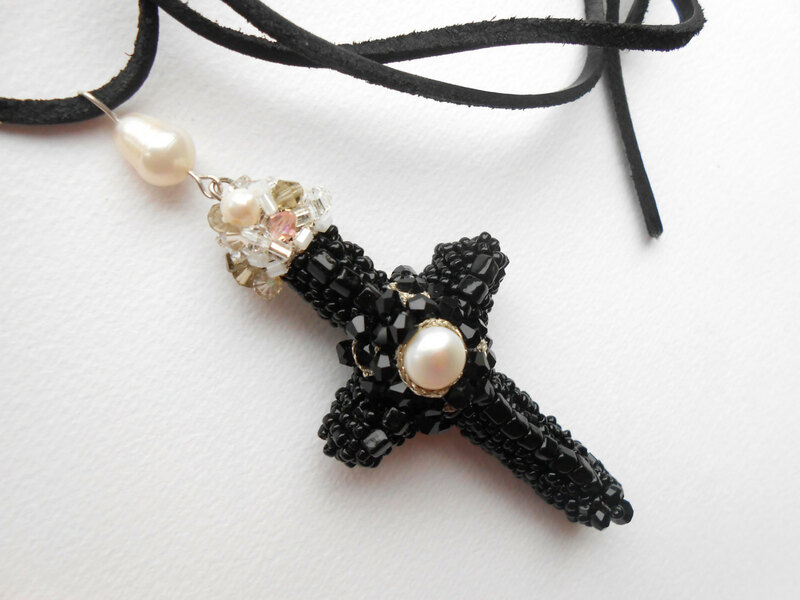 Sparkling and shining with every move of your body, this black necklace is extraordinary and eye-catching and will match any fashion-forward style. 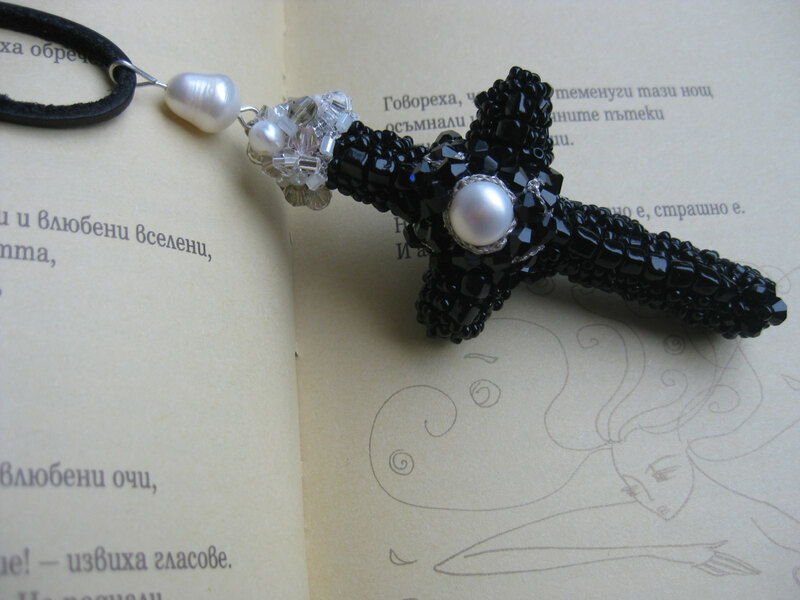 Long adjustible thick leather cord with pearl accent. 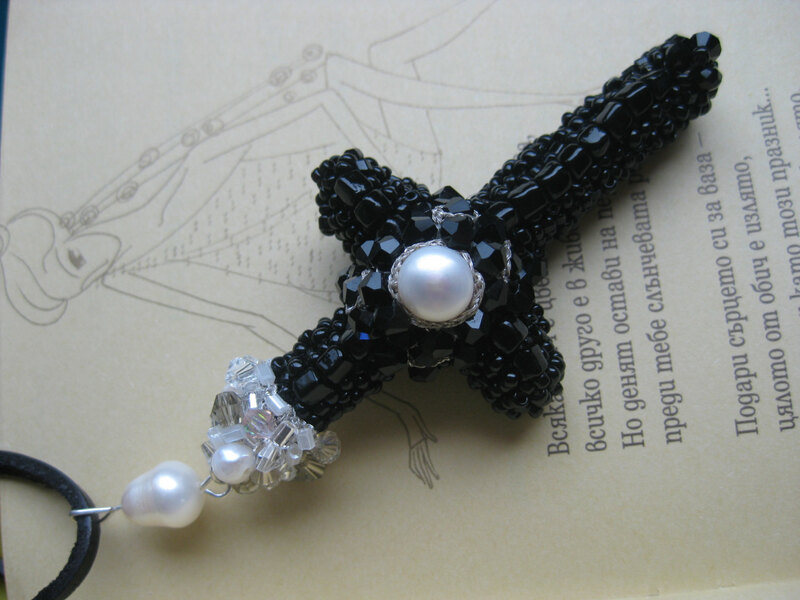 Perfect to wear with small dress or cropped shirt, just experiment with your imagination. Combine shipping to save the shipping fee! Zoom the images to see the picture details. 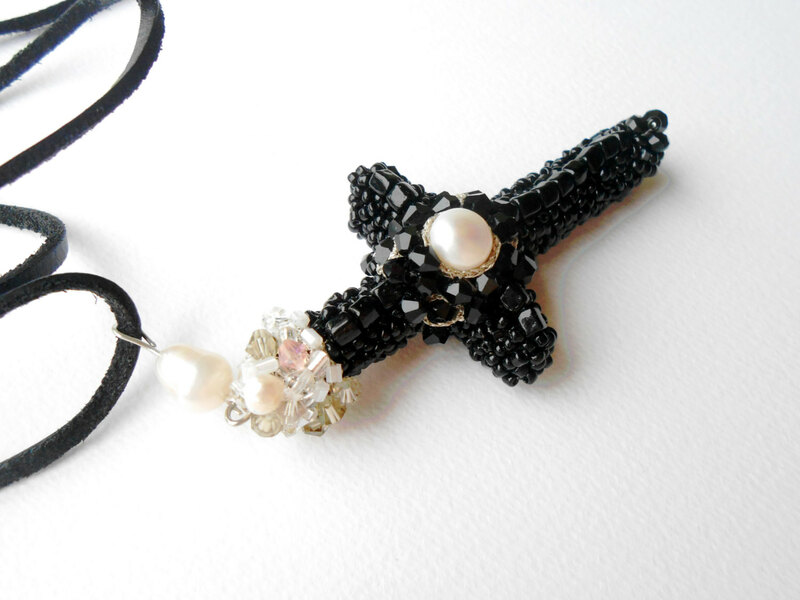 See my other jewels including another cross necklace with milky white pearls and transparent crystals inspired from victorian era. Test, just a test Hello. Nice site! And Bye.